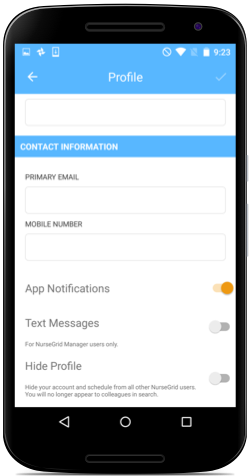 You can set NurseGrid to notify you about changes in your schedule through app notifications, emails, and text messages. First, navigate to the menu and select "Me", then select "Profile" and scroll down to the "Contact Information" section. Next, turn on the toggle next to "App Notifications" to receive notifications.